Our hotel near the Pearl District, Portland provides guests with exceptional accommodations & services just steps away from the district’s incredible galleries, boutiques, cafes, and breweries. Guests staying at our hotel near the Pearl District, Portland, will enjoy easy access to this popular neighborhood throughout their stay with us! After exiting the hotel, guests can walk straight ahead on SW 11thAve and find themselves within the Pearl District in minutes! 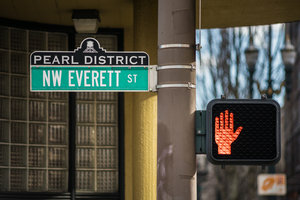 There are many myths as to how the Pearl District got its name. Some claim a local artist coined the term when he described the industrial style buildings that populate the area as “oysters” and the artists who inhabited them as “pearls”, while others insist that the area took a long time to develop, just like a pearl. The historically industrial area began to expand around the late 1970s as artists flocked to the area to take advantage of low costs and large studio spaces. 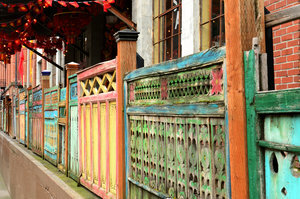 As a result, galleries, boutiques, and eateries followed, along with city-sanctioned revitalization projects. 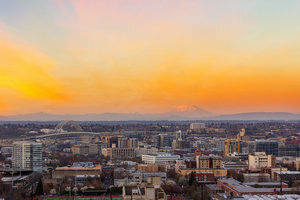 Today, the area is one of the top places to visit in the city, making our hotel near the Pearl District, Portland the best place to stay during your trip! With so many things to see and do in the area, it can be hard to fit everything into one visit! Make sure to check out these top points of interest when visiting the Pearl. Attractions: No visit to the Pearl District is complete without a stroll through Powell’s City of Books, the world’s largest used and new bookstore. Galleries: Staying true to its artistic roots, spend an afternoon at some of the area’s top galleries, including the Annie Meyer Gallery, Gallery One Thirty Five, and the Upfor Gallery. In the summer months, stop by the First Thursday galleries and street festivals! Restaurants & Bars: With so many incredible options, you’re sure to find exactly what you’re looking for in the Pearl District! Check out these guides to the best restaurants, bars, and breweries in the city. 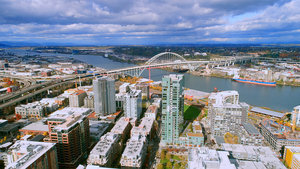 Book your stay at our hotel near the Pearl District, Portland to enjoy ease of access to this incredible neighborhood. Our team of local experts are always on hand to provide you with expert advice.